HPT designs and manufactures a broad range of DC/DC Step Up and Step Down Converters, for many different applications. We manufacture a range of systems with various input and output voltages, and systems can be configured for single or bi-directional operation. Our systems range from a 100W to 300kW. HPT’s high efficiency converters can easily be integrated into various power conversions systems and are especially well suited for fuel cell power conversion systems. We have a range of standard systems and can design and supply customized solutions for you specific application. HPT supplied a Bi-Directional DC-DC converter system for a 60kWh battery bank as an additional component for the DC distribution project at Hynor Lillestrom. This converter controls the energy flow between the Battery Bank and the DC Distribution System at Hynor LillestrØm Hydrogen Refuelling Station. 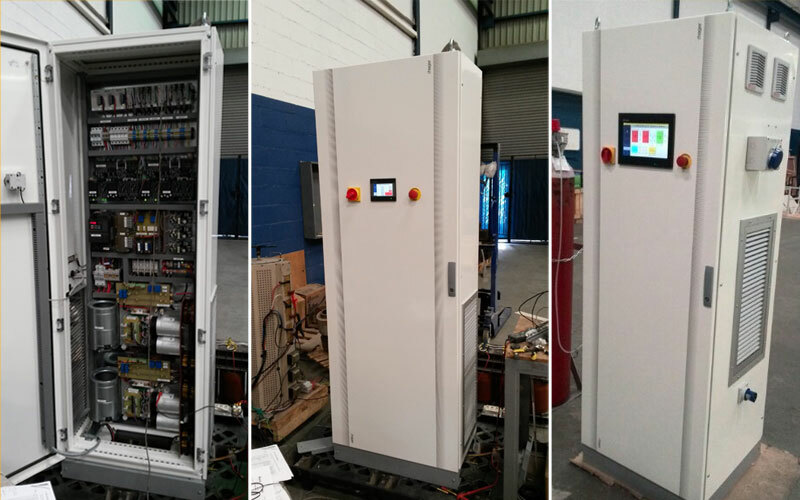 HPT developed a 30 kW DC-DC Power Interface for a Solid Oxide Fuel Cell system. The Power Interface was integrated into the first hydrogen refuelling station currently under construction at HyNor Lillestrøm’s demonstration site in Akershus Energy Park, near Lillestrøm in Norway. The DC-DC converter was developed to interface the SOFC system to the DC distribution network of the refuelling station. The DC-DC converter ensured the correct regulation and control required to maintain constant loading at the fuel cell terminals was achieved. The DC-DC converter would perform the necessary start up, shut down and transient control functions required to maintain stable operation of the SOFC system.